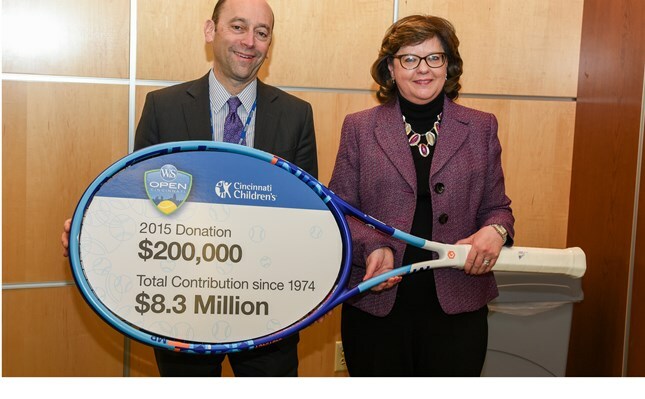 Cincinnati’s more than century-old professional tennis tournament, the Western & Southern Open, announced today annual gifts to local beneficiaries bringing the grand total of giving over more than four decades to just below $10 million, at $9,985,149. The tournament’s charitable board, Tennis for Charity, and chairman Ken Berry, were on hand to make the announcement, along with Elaine Bruening, CEO of the Western & Southern Open. In an event held at Cincinnati Children’s new “T” Building, the tournament presented a donation to the hospital for the 42nd consecutive year. This year’s gift of $200,000 brought the grand total of donated funds from the tournament to the hospital to $8.3 million. The total places the tournament in the exclusive ‘1883 Society’ which is composed of individuals and organizations that have surpassed the $5 million giving mark, a club with only 16 other members including donors such as The Bill and Melinda Gates Foundation, William Cooper Procter and the Toyota Corporation. Michael Fischer, CEO of Cincinnati Children’s, played host to the ceremonies and received the donation on behalf of the hospital. Since 1987 the donated funds have been appropriated to the Cancer Survivor Clinic within Children’s Hospital. The event also organizes annual visits to the hospital from ATP World Tour and WTA players to interact with patients. Andy Roddick, Brooklyn Decker, James Blake, the Bryan Brothers and Petra Kvitova represent just some of the stars that have made the visit. "These donations are a testament to the hard work of our staff, board members and most importantly, the volunteers who contribute countless hours each year to the event, which in turn allows us to give back to the community," remarked Western & Southern Open CEO Elaine Bruening. "The beneficiaries all do great work to better our city and we're proud to support them." 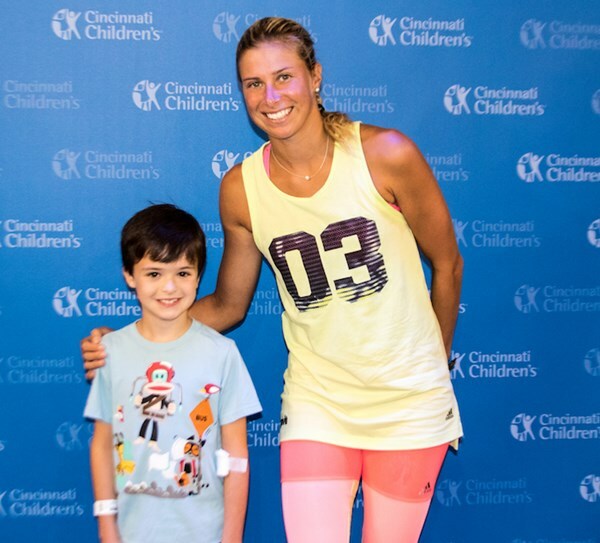 During the same luncheon, the tournament also announced gifts to two other beneficiaries – the Barrett Cancer Center at the University of Cincinnati Cancer Institute and Tennis for City Youth. The former received a donation of $150,000 bringing the lifetime giving total to the Cancer Center to $903,551. 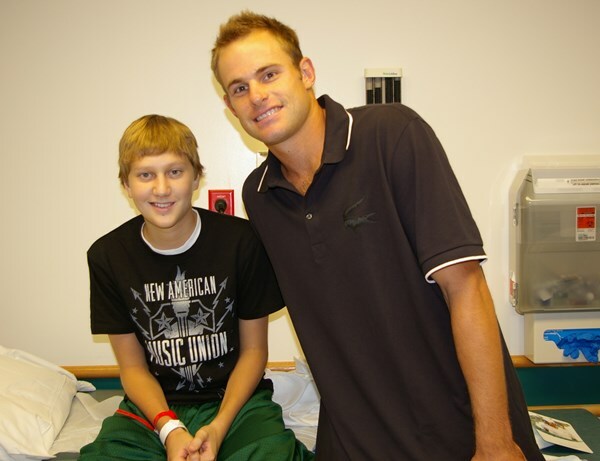 The tournament has donated to the Barrett Cancer Center since 2004. Western & Southern Financial Group Chairman, President and CEO John Barrett and UC Cancer Institute Director Dr. William Barrett were on hand to acknowledge and accept the donation. Tennis for City Youth, a local NJTL chapter that provides lessons and equipment to kids who could not otherwise afford to learn the game, received a gift of $35,000 bringing the total since 1991 to $808,633. Proceeds from the tournament represent the sole funding source for this organization. Tickets for the 2016 event go on sale to the general public at www.WSOpen.com beginning March 1.